This is not your average burp cloth tutorial! You've seen these a million times, but have you seen a two-sided burp cloth? I hadn't either, so I designed one for you! One 10"x14" piece of your favorite decorative cotton fabric, washed and pre-shrunk. I used Amy Butler fabric for these two. First, fold the decorative fabric in half lengthwise and sew the right and left edges. Here's what it looks like when that first stitch is done. You're only tacking this end down. It will be firmly secured later when you stitch the other side of the pocket. Next, turn the pocket inside out (enveloping the cloth diaper) and check again to make sure that it is 4 1/2 inches wide on both sides. It is important that both sides of the decorative edge are the same width. Now that the decorative end is in place you can stitch along the base of the decorative edge, sealing the pocket around the diaper. Grab your ribbon and turn the edge over about 1/4 inch. Place the ribbon about one inch from the side of the diaper covering the edge of your decorative pocket. (Get ready for another time-saving tip:) Go ahead and wrap the ribbon all the way around the front and back of your diaper. If it is lined up correctly you'll only have to stitch once to tack both sides down. I like to stitch on the top and bottom of the ribbon so that it's secure. Final step, since this burp cloth is going to be washed a million times, I'd recommend starting at the top corner of your decorative fabric and stitch one straight stitch all the way to the bottom of your ribbon to keep it all in place. You're done and it's beautiful on both sides! Don't stop there! While you've got your sewing machine out, why not make a hanging crib toy bag or put away your sewing machine and whip up a couple of easy paci clips for a great gift! What a great idea! It's going in my 'to do' folder for sure! I like this so much better than just the one sided cloths. Thanks for sharing!!! I linked to it! I love this! I have made the one-sided ones and never liked them since, you know, only ONE side looked good. I have many baby gifts to make this year so this tutorial is definitely a keeper for me. Thanks so much for sharing. P.S. I love Amy Butler fabric. I have quite a little stash. Great tutorial. This grammy will be making some of these. Thank you for your testimony of God's gift to you. Bless you. Thanks girls, be sure to check out Amy Butler's giveaway. There is a link in my pincushion post. Good luck! that looks great. thanks for the tutorial. Thanks for this tutorial. I made one and it turned out so cute. Thanks for sharing. I look forward to seeing more of your projects. Do you put the fabric in the dryer after washing it? Good question. You want to wash and dry both the decorative fabric and the cloth diaper before sewing. 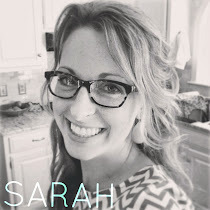 Thanks for sharing this great tutorial, Sarah. I made a few for a baby shower today. I'll be linking back to your tutorial when I post pics on my blog of the ones I made! I made some for my own baby and now a bunch for friends. I am making gift sets with a matching burp cloth, paci clip (thanks again), bib, and changing pad. I just found this post when I was looking for a tutorial on burp cloths made using a cloth diaper. I am curious what kind/brand of cloth diapers you used? They look quite sturdy compared to the Gerber brand I just bought. There are two different type of Gerber cloth diapers that you can find at Target and Babies R Us. One is a gauze weave and the other is a weave flatfold. The gauze weave diapers are a little more expensive ($16.99 for 12 vs. $12.09 for 12) but well worth it. They are a little thicker. Prewash your diapers too and they will fluff up a little more. Hi! What kind of cloth diapers do you buy? Yours look a little heavier duty than the gerber ones I have found. Thanks! I loved this tutorial and just made a bunch to give as a baby gift. They were so beautiful! I just blogged about it and wanted you to know that I linked back to your tutorial. Thanks so much for the great instructions! Any tips for making sure the ribbon matches up on both sides? I thought mine did until I sewed on one side and it was in a very different spot on the other. When I was trying to pin my ribbon, it kept sliding so I am pretty sure it moved on the underneath side as I sewed. If you have trouble lining up the ribbon, try using some temporary or permanent bonding web like Steam-a-Seam. You use it with a bit of ironing. What size is your diaper? I'm using Indian prefolds standard. They are 12 and 1/4 wide and 19 long. I'm confused about how this will fit. Thanks.